A sign is posted behind Jonesboro’s main school building. 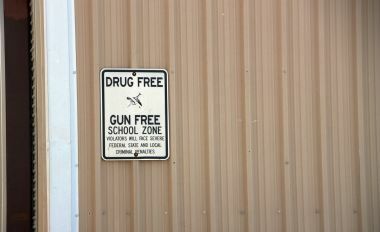 Across the country, guns are generally prohibited from school grounds. But federal and state laws contain exceptions that have allowed about 70 districts in Texas to arm their staff. It wasn’t quite cold enough to need a vest on a mid-November Texas morning, but Matt Dossey was wearing one anyway. Made of heavy-weight beige canvas, the vest just might have been concealing a pistol. There was no way to tell. Perhaps that was the point. 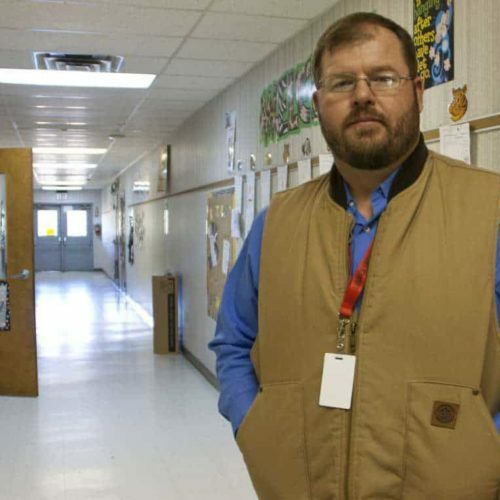 Dossey is the superintendent at Jonesboro Independent School District, a compound of three low, pale-brick buildings sandwiched between broad oak trees in the back and a horse pasture across the road up front. Jonesboro is a tiny community nestled in the rolling Texas scrubland 110 miles north of Austin, but aside from the schools, a post office and two churches, there’s little to suggest a town. In January, the district adopted a policy of arming a select group of staff members with concealed weapons as a deterrent and defense against a potential school shooter. Jonesboro straddles the border between Coryell and Hamilton counties, and it’s more than 15 miles to the nearest sheriff’s department. The town is unincorporated, so it has no government and no police. If someone were to attack the school, Dossey said, no one’s coming to protect the kids — not quickly, anyway. Dossey was standing inside the complex’s cafeteria, decorated with paper cutouts of a scarecrow and a map of Texas. The district was hosting an annual pre-holiday Thanksgiving dinner, when parents join their kids for a school lunch of turkey and stuffing served on sectioned plastic trays. Elementary school students were motoring around the room, which has two sets of doors leading outside. One of them sits loose on its hinges so it doesn’t close without a nudge. While there’s no law enforcement presence to speak of, Dossey, who hadn’t taken off his vest, said the new policy adds a layer of security that most everyone in town is happy with. In the year since Adam Lanza killed 20 children and six adults at Sandy Hook Elementary School in Newtown, Conn., last December, school districts and state governments have feverishly searched for ways to protect their students. State legislators introduced hundreds of pieces of legislation on school safety. Many called for arming more security guards or, like a law passed in Texas, for arming teachers. Others tightened laws meant to keep guns out of schools. Across the country, parents and government officials struggled with the same question — Are our schools safe enough? — but reacted with what at times seemed nearly opposite responses. Monroe, Conn., for example, took a range of expensive measures in the months following the shooting at Sandy Hook, just nine miles down the road. The town, which spreads out from a village green set between two white-steepled churches, spent hundreds of thousands of dollars upgrading district buildings and hiring school resource officers, town police officers who are posted at the schools full-time. The move is largely in step with what’s happening across the state. The legislature passed a sweeping law in April that included gun controls, such as expanded background checks and a broader assault weapons ban, and mandates for school security. It also funded millions of dollars in infrastructure grants for schools. Any talk of arming teachers quickly fizzled, and the legislature actually tightened the state law on guns in school so that only active or retired law enforcement officers could serve as armed guards. Texas, on the other hand, has not appropriated any money to school security and is not creating any mandates. Jonesboro is one of about 70 districts that have begun arming staff. This year, the state legislature paved the way for more to join them, passing a bill that created a state-run training program that will allow districts to designate staff members as “school marshals,” an entirely new class of law enforcement (districts must pay the costs). At first glance, the disparate approaches appear simply to reflect a stereotypical divide between two regions of America with their own closely held views of guns and their place in daily life. But a closer look shows that what’s happened in Jonesboro and Monroe in the year since the tragedy of Sandy Hook also reflects a broader set of beliefs about the role of government, about local control, and perhaps most importantly, about taxes. 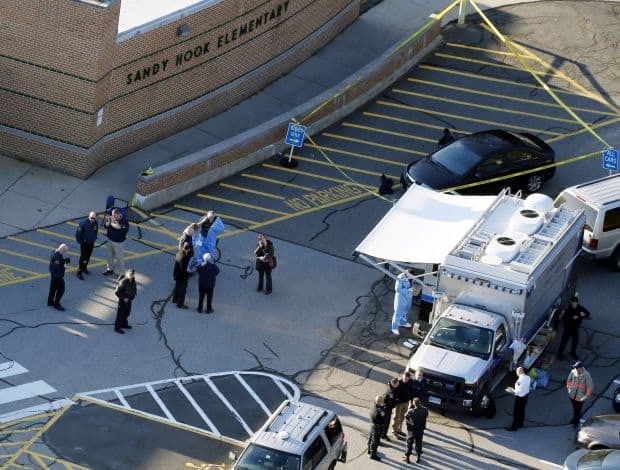 This Dec. 14, 2012 aerial file photo, released as part of a November 2013 report, shows officials standing outside of Sandy Hook Elementary School in Newtown, Conn.
Just after 9:30 a.m. on Dec. 14, 2012, Lanza, a 20-year-old Newtown resident, arrived at Sandy Hook Elementary School armed with a Bushmaster rifle and two pistols. School staff had just locked the front door, but Lanza quickly shot his way through the entranceway glass. In a classroom down the hall, the principal, school psychologist and another staff member, who were in a meeting with a parent and other staff, heard the shots and entered the hallway to investigate. Lanza shot all three, killing the principal and the psychologist, before making his way through the office, where staff were hiding, and on to two first-grade classrooms, where he killed the children and four adults. A staff member had called 911 at 9:35, soon after hearing the first shots, and police arrived within four minutes. Within a minute of their arrival, Lanza shot himself. While it’s unclear exactly when Lanza entered the school, the entire episode lasted no more than 11 minutes, according to a recent report by the local state’s attorney. The town had little time to mourn in quiet. Residents and victims’ families quickly formed groups advocating stricter gun controls or pushing a broader conversation about gun violence. Several parents created an organization called Safe and Sound, which has tried to offer tools for school districts to improve security through planning and training. The daughters of Michele Gay and Alissa Parker were friends at Sandy Hook Elementary — Josephine Gay was 7, and Emilie Parker was 6 — but the two mothers had never met. Parker was supposed to attend Josephine’s birthday party on Dec. 15. When she realized that Gay’s daughter, too, had been killed, she called the family immediately. In Washington, much of the debate focused on the angry and incendiary issue of guns. Wayne LaPierre, executive vice president of the National Rifle Association, held a press conference one week after the shooting, calling on Congress to fund an armed police officer in every school. “The only thing that stops a bad guy with a gun is a good guy with a gun,” he said. President Obama announced a broad plan in January encompassing both gun control and school security. But his signature legislative initiative, calling for background checks on most gun sales, died in the Senate in April. The school security measures fared better. The Justice Department gave $46.5 million in grants in the 2013 fiscal year to fund 370 school resource officers, who are being stationed in schools nationwide, in communities from Kotzebue, Alaska to New Orleans. Districts across the country have added thousands of such officers on their own, said Mo Canady, executive director of the National Association of School Resource Officers — augmenting the 10,000 or so that had already patrolled hallways nationwide. State legislatures have taken a host of additional steps. Lawmakers sponsored bills on school safety in every state, introducing more than 500 this year, according to the National Conference of State Legislatures (NCSL). Dozens became law. Rhode Island, for example, passed a bill requiring schools to conduct safety assessments with police and fire departments every three years, and another requiring that schools update emergency plans annually. In March, South Dakota became the first state to pass a law explicitly allowing schools to authorize teachers to carry concealed weapons. Legislators eventually introduced similar bills in at least 34 states, with six other states actually passing laws — Alabama, Arkansas, Kansas, Oklahoma, Tennessee and Texas — according to NCSL. Some districts have used existing laws to do the same. In Arkansas, where the new law applies only to parochial schools, 13 public school districts won approval from a state board to arm their staff, even as Attorney General Dustin McDaniel issued a non-binding opinion saying the law the districts had used was intended for private security guards only. Districts in Colorado, Oregon and Ohio have taken similar steps, and schools in several other states are considering arming staff. 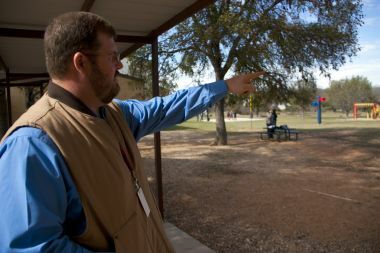 While few if any districts had armed teachers before Sandy Hook, other than one in rural Texas, the concept is not entirely new and has been pushed by gun groups for years, according to the Brady Campaign to Prevent Gun Violence, an advocacy group that supports stronger gun control. After the shooting at Columbine High School outside Denver in 1999, the NRA’s LaPierre actually spoke against arming teachers, saying there should be no guns in school, “with the rare exception of law enforcement officers or trained security personnel.” But by 2005, one NRA staff member had indicated support for the idea. Nearly every state bars guns from school grounds, but many of the laws include exceptions that allow districts some wiggle room. Texas law, for example, has for years explicitly allowed schools to authorize people to carry weapons. In 2003, Utah passed a law stating that anyone with a permit to carry a concealed weapon could bring a gun into schools. Other laws, such as the one in Arkansas, are less clear and open to interpretation. The gun lobby has continued its push to expand those exceptions, with an NRA panel in April publishing a model bill for states that would allow districts to make their own decisions on arming staff. The organization did not respond to an interview request. Across the country, schools have also been reviewing and updating their emergency plans, which can be the most important form of preparation, said Bill Bond, school safety specialist for the National Association of Secondary School Principals. “The good news and the bad news is this: At first no one knew what to do,” he said. “There’s a darn good template out there now.” In June, the Education Department published a how-to guide for schools to create comprehensive emergency response plans. Many schools had already laid the groundwork after the 1999 attack at Columbine. “What you really saw was schools playing catch-up on decades of neglect,” said Kenneth Trump, who runs a consulting firm in Cleveland specializing in school safety. Schools would leave doors unlocked and many had no plans for how to handle a shooter. The Clinton administration responded to the shooting by creating a number of new school safety programs, such as the COPS in Schools program, which funded school resource officers as part of a broader Community Oriented Policing Services program. Federal funding for that and other safety programs has fluctuated wildly over the past decade. The COPS program, for example, has seen sharp decreases since 2009, with funding dropping from $1 billion to $178 million in fiscal year 2013. The Secure our Schools Program, which the Justice Department uses to help schools buy safety equipment, received $16 million in fiscal year 2009 but has not been funded for the past two years. The Education Department’s Safe and Drug-Free Schools and Communities program, which includes various safety-related initiatives, has seen funding more than halved over the same period, to $64.9 million in the 2013 fiscal year. In Jonesboro, students often leave open the door near the main school entrance, despite school policy. Dossey says the trust that comes with small-town life makes securing the school particularly difficult. Jonesboro schools are 15 miles from the nearest sheriff’s office, and Dossey said the new program has given students and staff peace of mind. Matt Dossey is as close as Jonesboro has to a town leader. In addition to serving as school superintendent, he’s also the minister at the Baptist church. Dossey grew up in Gatesville, about 15 miles southeast on State Highway 36, the two-lane road that bisects Jonesboro. Aside from attending college in Abilene, he hasn’t lived anywhere beyond the narrow corridor connecting Gatesville to Hamilton, about 15 miles in the opposite direction. His wife, Emily, and mother, Mildred, each graduated from Jonesboro High School. His older son, aged 6, is in kindergarten at the school. His younger, 4, will soon be a student as well. Sandy Hook convinced Taylor and the other trustees that it was worth that risk. On Jan. 17, all seven voted to adopt the plan. While Jonesboro is one of nearly 70 districts across the state to adopt similar plans since Sandy Hook, according to the Texas Association of School Boards, some Texans have resisted the move. Most of the state’s larger districts have their own police departments. In Austin, for example, district police hired six school resource officers this year to patrol the city’s 79 elementary schools — they already had officers posted at each high and middle school. Bond, who was the principal at a high school in West Paducah, Ky., in 1997 when a student killed three classmates, doubts that an armed teacher would actually stop a student bent on killing his or her peers. “I don’t believe a teacher would just kill a kid right there,” he said. “I’ve walked up in front of a kid who had a gun. I know how it feels. I think you’d hesitate.” More likely, he said, is that an armed teacher would lead to a deadly accident. Many law enforcement groups, including the National Association of School Resource Officers, have spoken against arming school staff. Several have said that in a hectic response to an attack, police could accidentally shoot a teacher holding a gun. EMC Insurance Companies, which covers most Kansas districts, reacted to a new law passed in that state by saying it would decline coverage to any school that allowed employees to carry guns, and some other insurers have said the same. Dossey has seen little of this sort of opposition. He speaks of his program in a reasoned, confident tone; he likes to say they’re not cowboys or G.I. Joes. He and the board selected a few staff members for the program before buying them standard guns and tapping the local sheriff to help with training. The district has kept their identities secret to protect them and to try to avoid having students view them differently. Members of the program get together once a month for target practice. “The idea that it might be there on campus helps,” said Dallas Isom, who has taught nearly every subject over his 25 years as an instructor at Jonesboro. Isom has two children at the school, aged 13 and 16, and he said he trusts that whoever is part of the program is responsible enough to handle a gun around the kids. 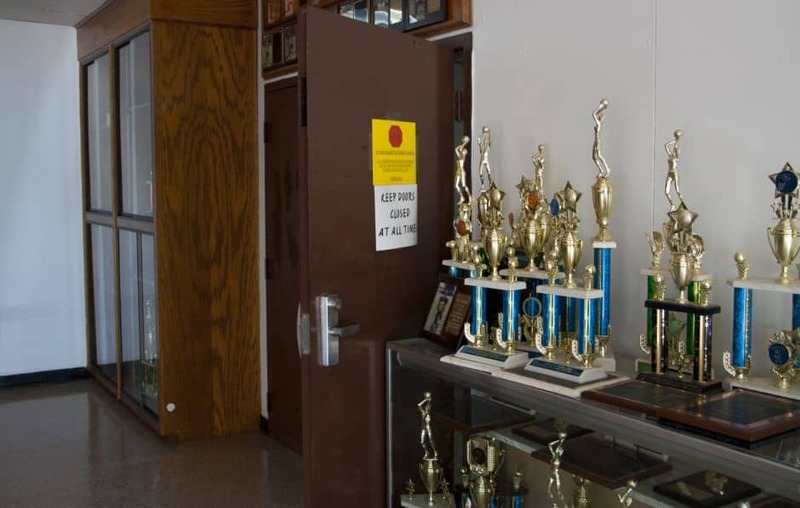 The school district has also purchased security cameras and is in the process of replacing old doors and installing a buzzer system for the front entrance, which is now unlocked. The upgrades will cost about $50,000, Dossey said, and will come out of a $700,000 bond that voters approved in May to fund new buses and other projects. Dossey says arming a few staff will cost about $8,000 this year, compared to at least five times as much for a resource officer. In 2011, the state legislature cut the education budget by more than $5 billion. While lawmakers restored about $3.3 billion this year, those cuts continue to loom large in any discussion of school spending. Dossey said that if the state provided funding, he’d rather hire a school resource officer. Taxes are not popular in Texas. The bill never saw a vote. Bridges and other teachers’ advocates say that, at least on the state level, the push for arming teachers was as much about politics as it was about school safety. Within weeks of the shooting at Sandy Hook, Gov. Rick Perry indicated his support for allowing more guns in schools. Lt. Gov. David Dewhurst went further, calling for state funding to train teachers to carry guns (Perry later vetoed a bill that would have provided up to $1 million for this, citing several shortcomings, including the cost). From his desk in Monroe Elementary School, Superintendent James Agostine can monitor security cameras across the district’s five schools. The system was part of a host of security-focused construction projects the district has undertaken since Sandy Hook, at a cost of nearly $815,000. Parents enter through a new double-doored entryway at Monroe Elementary School, designed to slow a potential shooter. Nearly two thousand miles to the northeast, Superintendent James Agostine is operating under sharply different circumstances. 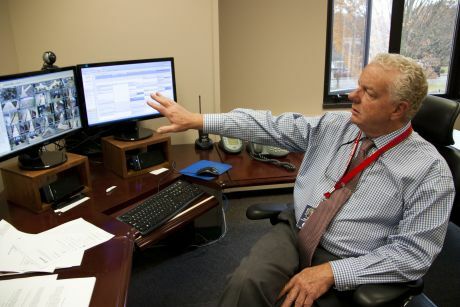 Sitting at his desk in Monroe Elementary School, Agostine can monitor dozens of security cameras across the district’s five schools, with sharp images neatly organized on one of the two monitors connected to his computer. The cameras are part of a technology upgrade the district purchased after the shooting in neighboring Newtown. The district has also installed new door locks in many of its classrooms, replaced outer doors and hired two police officers to patrol its schools, adding to the two it already had. 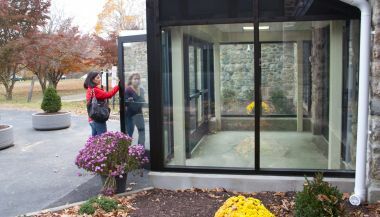 Inside the elementary school, the district moved the main office from the middle of the building to right next to the main entrance, where a receptionist can look out on a new glass-enclosed extension off the front door. Visitors must now get buzzed through consecutive sets of locked doors, a level of security more common at banks. The windows looking out on the entrance are now covered with a protective film that would prevent the glass from shattering if it were hit with a bullet. Once a visitor passes through the doors, Agostine said, they must come immediately to the office to sign in. The district cut a window into the wall between the office and the main corridor so the receptionist can watch visitors approach. If anything is amiss, the receptionist can hit a red panic button that dispatches police directly to the school. Those actions contrast with what seems like a picturesque small-town scene. The elementary school is a wide, two-story building with a stone facade perched on a rise above the Monroe Turnpike. A star-spangled banner flutters above a landscaped entranceway, with potted pink chrysanthemums flanking the front door. The district stretches across all 26 square miles of a heavily wooded community in southwestern Connecticut, where wealthy New York suburbs start giving way to small-town New England. The median household income is about $108,000. But there are ominous reminders of what happened nearby just a year ago. The Monroe district is currently housing Sandy Hook Elementary at one of its buildings while Newtown builds a new school. And Agostine, dressed in a checked shirt and tie with white, wavy hair combed back, seems to have embraced the role of protector. Over the past year, Monroe has spent nearly $815,000 all told upgrading security at its schools, leaning heavily on those infrastructure changes. And what’s been done here has been repeated all across the Nutmeg State. In April, the state legislature in Hartford passed some of the tightest gun controls in the country — requiring background checks on all gun sales, for example, and expanding the list of banned assault weapons — along with a handful of school security measures. Lawmakers and the governor created a host of panels and commissions on everything from mental health to security, including the School Safety Infrastructure Council, which is working on recommendations that will eventually be required as part of any state-funded school construction project. In the meantime, the state has spread $21 million in grants across about two-thirds of its districts, helping them upgrade facilities at 604 schools. The legislation was the product of a bipartisan task force created after Sandy Hook. State Sen. Toni Boucher, a Republican who was co-chair of the task force’s school security working group, said there was near-unanimous agreement that arming teachers was too dangerous a step to pursue. The council is expected to release its recommendations in January. 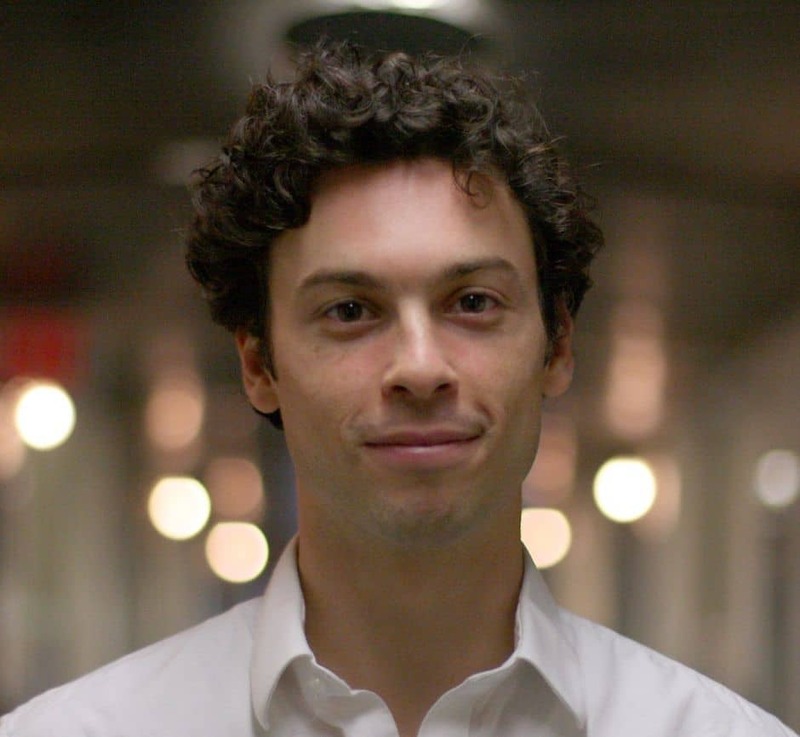 DeFronzo said the group is working with the federal Department of Homeland Security to adapt a security assessment tool now used for federal buildings to schools. Rather than prescribing blanket fixes for all schools, the tool will take into account the geography and demographics of a district and help identify security weaknesses while suggesting corrective measures. One school may want to build a fence around its property, while another may use landscaping to delineate the grounds. Monroe was lucky. The district had already been looking at security upgrades before the shooting, and was prepared to spend part of its regular maintenance budget. At the same time, savings on medical expenses in last year’s budget freed up about $240,000. Within days of the shooting, Agostine asked the school board to devote the savings to additional security spending. They hired consultants, attended conferences organized by the state, updated their emergency plans (the new law includes requirements for these plans). The preparation meant the district was ready to move immediately, which turned out to be a huge advantage. Still, the town of nearly 20,000 didn’t avoid debate over the costs. In April, voters rejected an annual budget that included funding for three new school resource officers. After some residents questioned the need for additional officers in the schools, the town cut one of the positions from the budget, which was then approved in a subsequent referendum.